ID card security; how do you secure ID cards & stop copying & duplication? How to secure ID cards? As a proactive measure, organizations are using ID cards to tighten security. 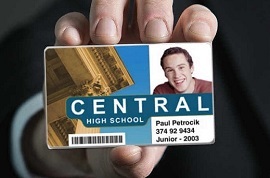 Simply put ID card is a great proactive starting measure for site or access security. Although what you need to know is that ID cards are not inherently secure by themselves. Do you depend on ID card sighting to allow employee inside the office? 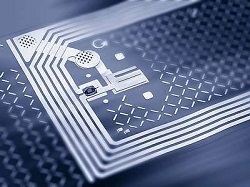 Do you have access control solution with RFID reader? Does a barcode or QR code do the job in your organization? Only some of the questions that you should be asking your ID program provider before you launch or sign-up. ID cards have various security features which we provide when issuing ID cards for your organization. Below we are listing some of the features you can ask for when you order your ID cards from us. To assure your ID cards are not easily copied and to add a layer of visual security, we suggest adding watermarks into your card design. Not all ID card printers are able to print watermarks into the card design, so you should make sure you select the right card printer or card printing service. Some printers offer the capability to add hologram to your cards while printing or you can add them as stickers after the cards printed. Holograms are economical visual security that restricts card duplication. Using high-quality ID printers or even plastic card printers, you can print photos, cardholder details and follow brand theme and colour scheme for your company. 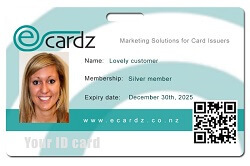 Printing staff ID and photo on the card creates a suitable form of identification by security staff at entrance. Although cards with this security feature are not necessarily the most secure since this is only a sighting security feature. Barcodes and QR codes are the easiest methods of enhancing security of your Id cards. Barcodes are encoded during ID card printing and printed based on the design. If for instance at an event you want to have control over flow of backstage workers, you can hand out ID cards. By adding a QR code to the cards, any mobile device is able to verify the information on the card. As the name says, magnetic stripes are magnetic material embedded into the card and encoded while printing the cards. These magstripes allow for rewriting / re-encoding of the card with new information only with capable devices. Magnetic stripe is read when it is swiped through a card reader. These are good security features for organizations that have card readers to verify the cards. These smart cards are perfect solutions for security in ID cards. These cards use radio frequency to securely transfer information to a reader from a distance, hence the name contactless cards. Being contactless these cards make really good and convenient solution for ID card security. Quality card printers allow you to encode information into smart cards or NFC cards. If you have questions or you need some ID cards for your organization, contact us today and let us discuss economical yet quality solutions for ID card verification.